IN THE NEWS: Depressed and Anxious Patients Receive More Than Half of All Opioid Prescriptions In 2014, 1.2 million Americans ended up in the emergency room with an opioid-related side effect; in 2015, 33,000 died from an opioid-associated drug overdose. Adults with depression and anxiety receive 51 percent of all opioid prescriptions in the U.S.; 19 percent of the 38.6 million Americans diagnosed with a mental health disorder use opioids, compared to 5 percent of the general population. Women are being prescribed opioids during pregnancy and after delivery, creating drug dependent mothers and infants; 23 percent of 1.1 million pregnant women enrolled in Medicaid filled a prescription for an opioid in 2007. Well over 65,000 die from opioid abuse last year compare that to 58,000 that died in the Vietnam War. When it comes to pain control our healthcare system is broken. Chiropractic care along with electrotherapy, acupuncture and even nutritional therapy can help resolve the underlying condition that causes the pain. Seek a natural approach for all of your healthcare issues including pain. WELLNESS: Apple Cider Vinegar As you may know, apples, and especially apple juice, are high in sugar and are not something I recommend eating regularly as it will typically shift you out of fat-burning if frequently eaten. However, when you ferment apple juice or cider, the sugars are digested as a result of the fermentation process. 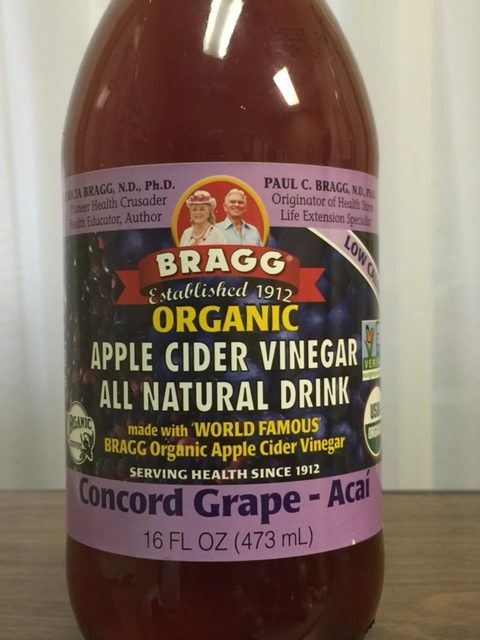 Apple cider vinegar contains very little sugar and carbohydrate, making it a very attractive food from a dietary standpoint. Apple cider vinegar offers many potential health benefits: Apple cider vinegar contains a number of important components, such as organic acids: acetic, citric, formic, lactic, malic, and succinic acids. It also contains acid, catechins, epicatechin, chlorogenic acid, caffeic acid, and p-coumaric acid. Plus, it’s a source of manganese and potassium. Research suggests acetic acid may be the most significant of these components for health, and is found in high levels in apple cider vinegar. In various studies, researchers have found that acetic acid and the other constituents may help with a variety of healthy body functions: Healthy oxidation and cholesterol support, Normal cardiovascular support, Healthy cognitive function, Normal lymphatic drainage and normal detoxification processes, Athletic recovery. According to new research, healthy vinegar with acetic acid may support nutritional ketosis, and in turn, your mitochondrial health. CONDITION OF THE WEEK: B VITAMINS Hardly anyone talks about B vitamins these days. I believe that’s about to change. With our deteriorating food quality, rising assaults on gut health, and a living environment that becomes more toxic by the day, it’s clear that we need this complex of brain and body nutrients more than ever. Most people are eager to remain mentally sharp, energetic and independent into their later years. As you’ll soon see, researchers are discovering potential benefits of the family of B vitamins that are much greater than we ever imagined.Because of this, the day we give B vitamins the attention they deserve has finally arrived…Keep in mind, you don’t need to have a flat-out deficiency in any of these vitamins. Surprisingly, many of the subjects in the studies you’re going to hear about didn’t. They just had lower levels. Increasing their intake of these vitamins made all the difference for these study subjects. Going from low or even routinely recommended minimal levels to optimal levels allowed them to benefit in significant ways! Low levels of B vitamins can affect your body in many different ways because of the vitamins’ far-reaching and interrelated effects. A B vitamin complex deficiency can show up in multiple ways. Any one of these common symptoms could be a result of low levels of one or more B vitamins: Inability to sleep well..Fatigue and apathy..Mental “fog,” confusion, and forgetfulness..Mood swings and irritability..Gastrointestinal symptoms..Joint or muscle discomfort..Muscle weakness..Loss of muscle mass.. Numbness or tingling in fingers and toes..Frequent bruising.. eadaches.. Irritability..Dry, cracking skin. Because the vitamin B complex is a group of eight major B vitamins that work together, you can impact their synergy just by running low on one. For example, many of the B complex vitamins are needed for healthy skin. If you’re low in one or two, that can affect the actions of the others. Your nervous system requires B vitamins to respond properly to adjustments. 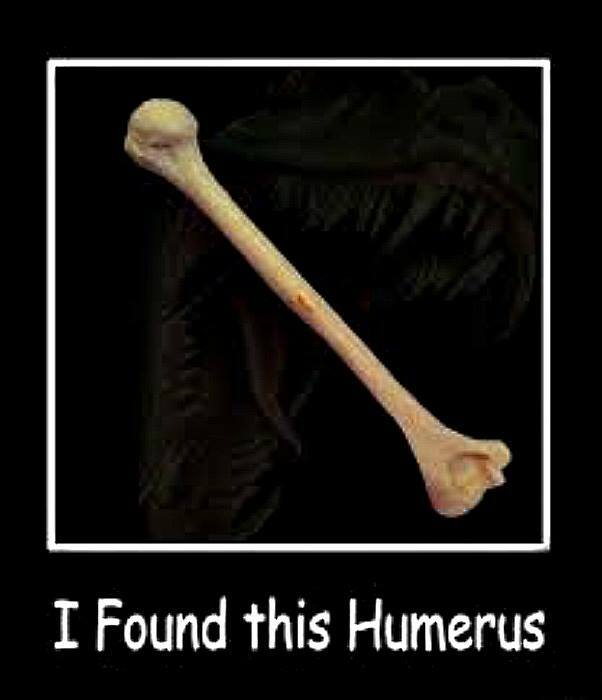 FUNNY BONES: Patience: what you have when there are too many witnesses. @@Hold your wife’s hand in the mall because if you let go, she’ll start shopping. It looks romantic. But it’s actually economic. @@The IRS returned my tax return to me this year after I apparently answered one of the questions incorrectly… In response to the question, “do you have anyone dependent on you?” I wrote, “9.5 million illegal immigrants, 1.1 million crackheads, 3.4 million unemployable scoundrels, 80,000 criminals in over 85 prisons plus 650 idiots in Washington.” The IRS stated the answer I gave was “unacceptable!” I then wrote back “Who did I leave out? ?”@@Wi-Fi went down for five minutes, so I had to talk to my family. They seem like nice people. IN THE NEWS: Researchers Uncover Link Between Immune Function And Osteoarthritic Pain And Progression The immune system plays a pivotal role in the amount of pain and disease progression experienced by patients with osteoarthritis (OA), McMaster University researchers have found. This discovery could lead to new strategies for improving joint pain management and immune function in older adults with arthritis. The study, published in the medical journal Osteoarthritis and Cartilage, found that monocytes, the white blood cells necessary to regulate immune responses, were more activated and pro-inflammatory in women with osteoarthritis, and that elevated inflammation and body mass index were associated with this increased activation. When compared with a control group, this combination created a perfect storm – one that was found to increase the pain and progression of knee osteoarthritis. The study involved 22 women with OA, and 22 women of the same age without OA.NOTE: Monocytes are usually elevated in response to bacteria and parasites. Recently study show that rheumatoid arthritis can be triggered in some cases by a bacteria in milk. 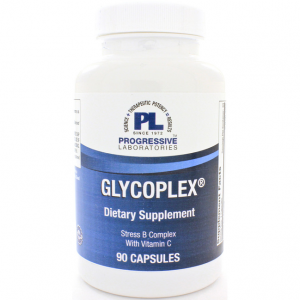 Nutritional formulas that enhance immune function allow for the body to eliminate these microorganisms and begin the healing process. Detoxification, anti-inflammatory diet are just some of the things that can be helpful in health recovery. WELLNESS: Chuck Norris Focuses Attention on Heavy Metal Risks After Enhanced MRI Magnetic resonance imaging (MRI) is a study allowing your physician to see detailed images of your organs and tissues using a large magnet and radio waves. Gadolinium-based contrast agents (GBCAs) may be prescribed to enhance the image but the heavy metal gadolinium is known to deposit in your brain, bone and organs. The FDA acknowledges the metal may be found in your tissues for years but claims there is no known effect, despite the rising number of people suffering from kidney damage, cognitive dysfunction and muscle wasting. 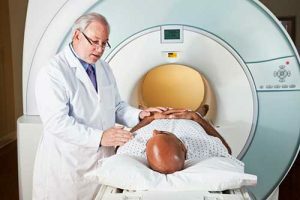 Strategies you may consider if an enhanced MRI is absolutely necessary include optimizing your gut and nutrition, eating fermented foods and using a sauna to aid detoxification. After undergoing three MRIs with GBCAs to evaluate her rheumatoid arthritis, Gena O’Kelley, the wife of American film icon Chuck Norris, began experiencing severe physical symptoms that began with a burning sensation in her skin. She described it as if there was acid burning her skin, slowly covering her body. She reports that she visited the emergency room five or six nights in a row, while doctors ran multiple tests for ALS, MS, cancer and Parkinson’s disease. However, it was O’Kelley who made the connection between her burning skin, contracted arm and cognitive issues and the multiple MRIs she had undergone. She told Full Measure: “When we got to the hospital in Houston this last time, and I’m so bad and I said, listen, I am sober enough in my thinking right now, because I had such brain issues going on, I said I’m only going to be able to tell you this one time and I need you to listen to me very closely. I have been poisoned with gadolinium or by gadolinium and we don’t have much time to figure out how to get this out of my body or I am going to die.” After five months of treatment in China and then in a clinic in Nevada, O’Kelley was able to return home to her seven children for continued treatment by a physician in Houston. Norris shared their tax return records documenting $2 million over three years in uninsured medical expenses to help O’Kelley return to health. Now Norris is suing 11 medical companies for the part they played in not warning the couple and others of the dangers of using a GBCA for MRI contrast. CHIROPRACTIC: IMMUNE FUNCTION studies of chiropractic patients have shown interesting differences with those patients that have ongoing chiropractic care and just the average person off the street. One of those differences we have discussed in a past newsletter about DNA repair. Those who have gotten regular chiropractic adjustments have a higher level of a chemical that’s involved in repair of DNA. Our DNA is traumatized hundreds if not thousands of times during the day and repair of DNA is essential in longevity and health in general. 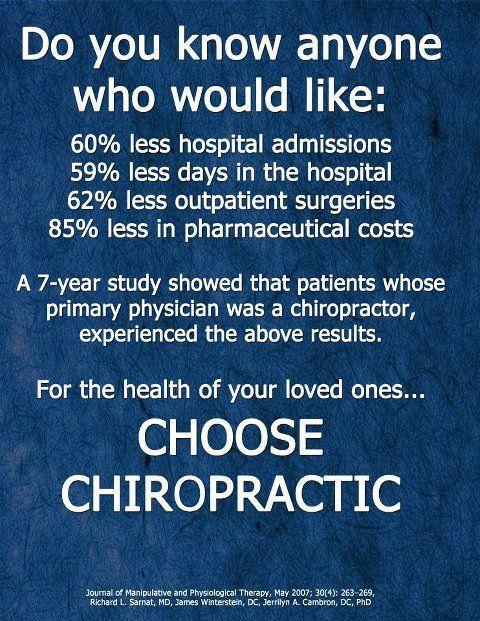 Many years ago an immunologist studying chiropractic patients who receive regular care were found to have an immune system operating 400% better than the average person on the street. 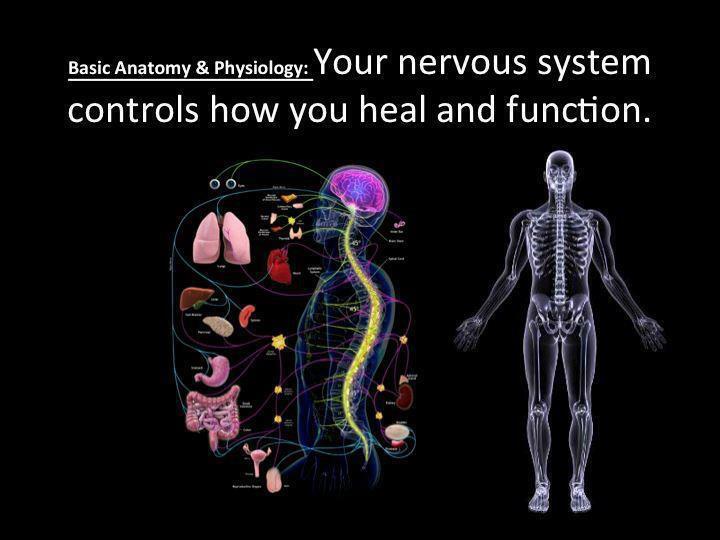 The nervous system regulates and controls every system in your body and misalignments depress function including immune function. 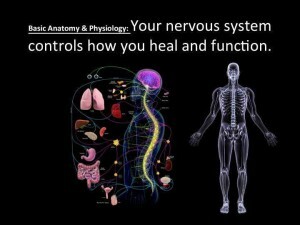 When you receive an adjustment you improve nervous system control and coordination over your immune system. Keeping a healthy immune system requires a clean diet, plenty of fluids, exercise, proper rest and a healthy nervous system. Increase your immune function through regular chiropractic care. JOHN H. KEEFE, III. D.C., P.C. Parsley, Pokeweed, Rasberry, Red Clover, Saffron, Watercress, Yellow Dock. butters, beans, especially soybeans, milk and milk products, and such vegetables as beets, potatoes and leafy green vegetables. (Herbal) Cayenne, Dandelion, Feriugreek, Kelp, Parsley, Raspberry. Vitamin B2: Milk, cheese, whole grains, brewer’s yeast, torula yeast, wheat germ, almonds, sunflower seeds, liver, cooked leafy vegetables. (Herbal) Alfalfa, Burdock, Dandelion, Fenugreek, Kelp, Parsley, Sage. (Vitamin B 9) Spinach, lettuce, Brewer’s yeast, wheat germ, mushrooms, nuts, peanuts, liver. And liver. 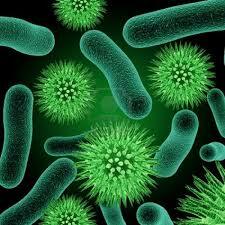 PABA Is also syntlisaized by friendly bacteria in healthy intestines. egg yolk, liver, green leafy vegetables and legumes. Vitamin B 13: Present in whey portion of milk, particularly soured milk. Vitamin B 15; Whole grains, seeds and nuts, whole brown rice. Vitamin C All fresh fruits and vegetables. Particularly rich sources are rose hips. Raspberry. Rose Hips, Shepherd’s Purse,Strawberry, Watercress. Yellow Dock. The body through the skin. (Herbal) Alfalfa, Dandelion. Kelp, Raspberry. Rose Hips, and Watercress. Vitamin P:(bioflavenoids/rutin) Fresh fruits and vegetables, buckwheat, citrus fruits, especially the pulp, Green peppers, grapes, apricots, strawberries, black currants, cherries, prunes. **Cooklng largely destroys Vitamin P.
(Herbal) Dandelion, Rose Hips. Rue. Flaxseed oil, safflower oil and sunflower oil. liver. Also made by normal bacteria in healthy intestines. Vitamin T: a mixture of growth-promoting substances (e.g., amino acids, DNA nucleotides, folacacid and vitamin B12) which promotes growth and wound-healing in yeasts and insects. Sesame seeds, Tahini, raw sesame butter, egg votes. and some vegetable oils. Vitamin U:(for peptic ulcers) Raw cabbage juice, fresh cabbage, homemade sauerkraut. IN THE NEWS: Doctors should not prescribe antibiotics for most people with sore throats. The National Institute for Health and Care Excellence said most sore throats were caused by viral infections, which cannot be treated by antibiotics. But research suggests antibiotics are prescribed in 60% of sore throat cases. NICE said it was “vital” the medicines were only used when effective because of the rise of antibiotic resistance. The overuse of antibiotics is making infections harder to treat by creating drug-resistant superbugs. Patients ‘need rest, not antibiotics’ Why is it so difficult to discover new antibiotics? “For a sore throat, evidence shows that antibiotics make little difference to length or severity of illness, unless symptoms are much more severe. While a sore throat can be painful, there are other ways to control the symptoms”. ‘Post-antibiotic apocalypse’ England’s chief medical officer, Dame Prof Sally Davies, has previously warned of a “post-antibiotic apocalypse” where infections would become harder to treat and common medical procedures such as cancer treatments could become too risky. In an ever growing number of cases people have died from bugs that are resistant to all antibiotics. In October, PHE said patients had “a part to play” in stopping the rise of infections and that more of them should be told to go home and rest rather than be given antibiotics. NOTE: This last statement kind of makes my blood boil, even though as patients you have to look after your own health doctors should know better. Patients didn’t go to school to learn to be a doctor, doctors did that. For the past 30 years this is been in the literature and still we have 60% of sore throats receiving antibiotics, another good reason to make your primary care physician a chiropractic physician. WELLNESS: Sitting all day is as bad as smoking for your health Research shows that the more time you spend sitting, the shorter and less healthy your life will tend to be, even if you exercise regularly, thanks to the negative impacts on your cardiovascular and metabolic function. When you sit, lack of muscle contraction decreases blood flow through your body, reducing the efficiency of biological processes. For every hour you sit, your life expectancy decreases by two hours. Research has also found that sitting for more than three hours a day causes 3.8 percent of all-cause deaths. Twenty to 25 minutes of walking per day may add anywhere from three to seven years to your life span. As little as two hours of walking per week may also reduce mortality risk in older adults. Brisk walking has even been shown to improve life expectancy in smokers and overweight individuals. Research shows that within 90 seconds of standing up after sitting for a long period of time, the muscular and cellular systems that process blood sugar, triglycerides and cholesterol are activated. In other words, as soon as you stand up, a series of molecular mechanisms are triggered that beneficially impact the cellular functioning of your muscles and push fuel into your cells. All of these molecular effects are activated by the simple act of bearing weight on your legs. CONDITION OF THE WEEK: SHOULDER PAIN The most prevalent cause is rotator cuff tendinitis. 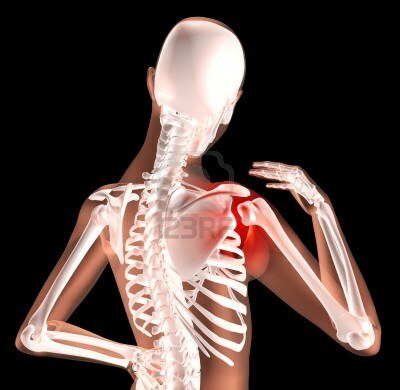 … Other causes of shoulder pain include several forms of arthritis, torn cartilage, or a torn rotator cuff. Swelling of the bursa sacs (which protect the shoulder) or tendons can also cause pain. 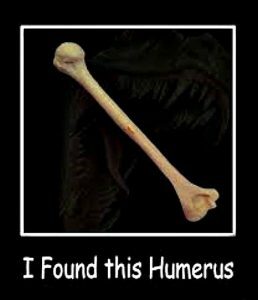 Misalignment of the bones that make up the shoulder can be a common cause for pain and discomfort even limited movement of the shoulder. Chiropractic offers effective treatment for shoulder problems even with rotor cuff tears conservative care can be helpful. Of course severe tears will need surgical repair but fortunately most of them aren’t that severe. Realigning the shoulder joint can be important with making sure the collarbone is in proper alignment at the shoulder joint as well as making sure muscles are causing the shoulder to be locked into rotation which produces pain and limitation during movement. Along with the structural alignment and muscle rebalancing nutrients like fish oils, Cartledge support and anti-inflammatory enzymes can also be important. If you are suffering from pain and discomfort in one or both of your shoulder joints you need to come in for an evaluation and treatment. 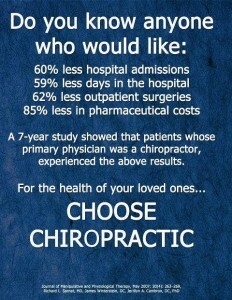 Chiropractic first, drug second, and surgery last.